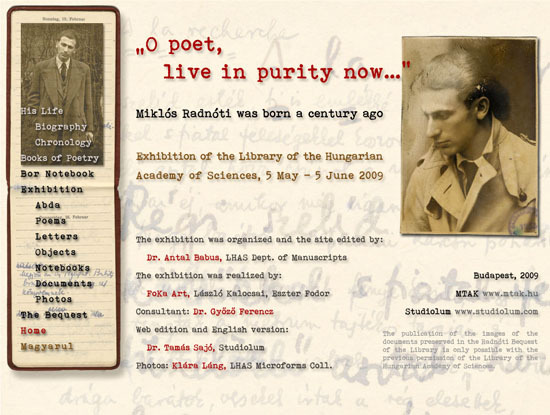 If the poems of Miklós Radnóti left in manuscript and mentioned in the previous post were never published, it would not be a great damage to Hungarian literature. But he has another manuscript whose eventual loss would have deprived us from his greatest, most mature and distilled poems. And it was a close call that this manuscript did not perish. It is the Bor Notebook. 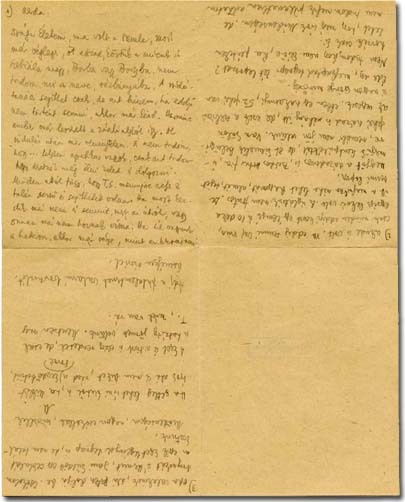 The German army occupying Hungary on 19 March 1944 demanded the Hungarian Ministry of War to send to Serbia three thousand Jewish men called up for forced labor service. 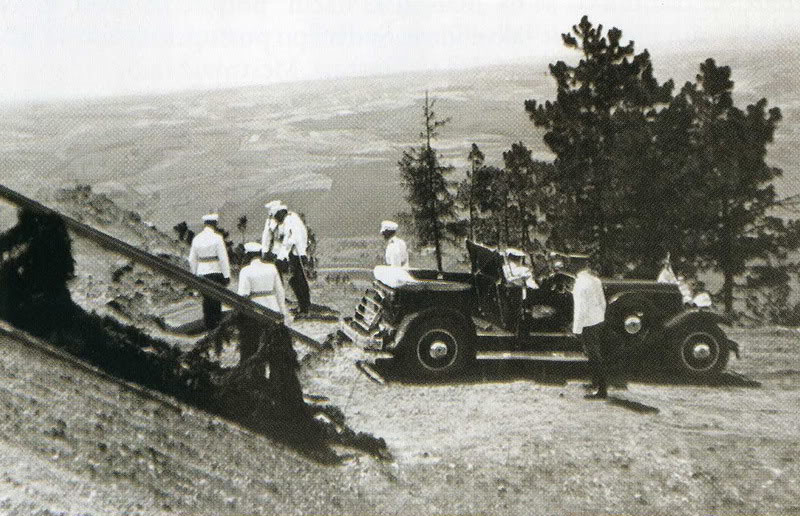 The company of Radnóti arrived in early June to Lager Heidenau around Bor. 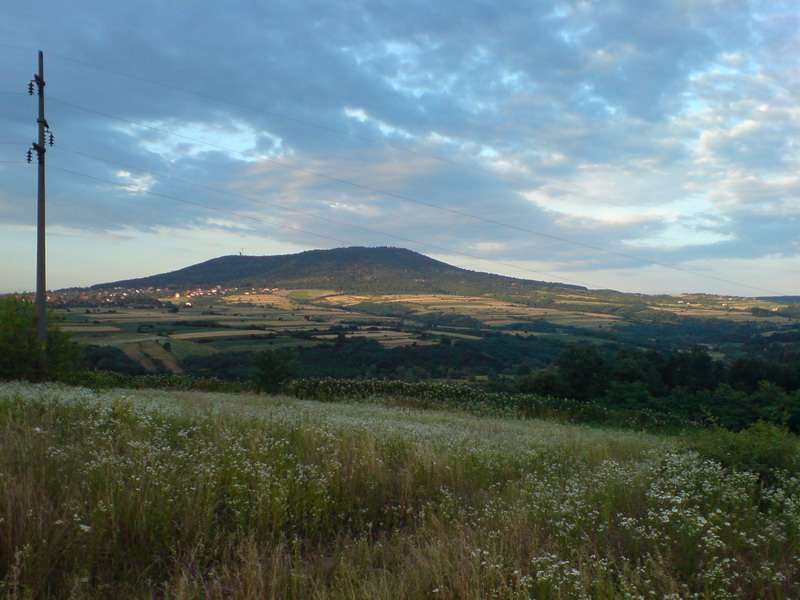 The place of the lager is known to us, some remains still stand there, but I could only approximatively indicate its place on the map on the basis of the descriptions: “Above Žagubica in the mountains”, as Radnóti wrote in the dating of the first five poems of the notebook. Title page of the Bor Notebook. The images of the notebook’s pages are linked to the respective pages of our homepage on the Radnóti bequest. This notebook is a simple Serbian exercise book. It is not known how it got to Radnóti, for in the lagers around Bor it was strictly forbidden to get in contact with local population. Its printed title is almost certainly a patriotic fancy name, borrowed from the Avala mountain south to Belgrade where in 1934 a mausoleum to the Serbian heroes of WWI was erected and where – a peculiar coincidence with the notebook’s fate – a monument to the victims of WWII was also set up after the war. 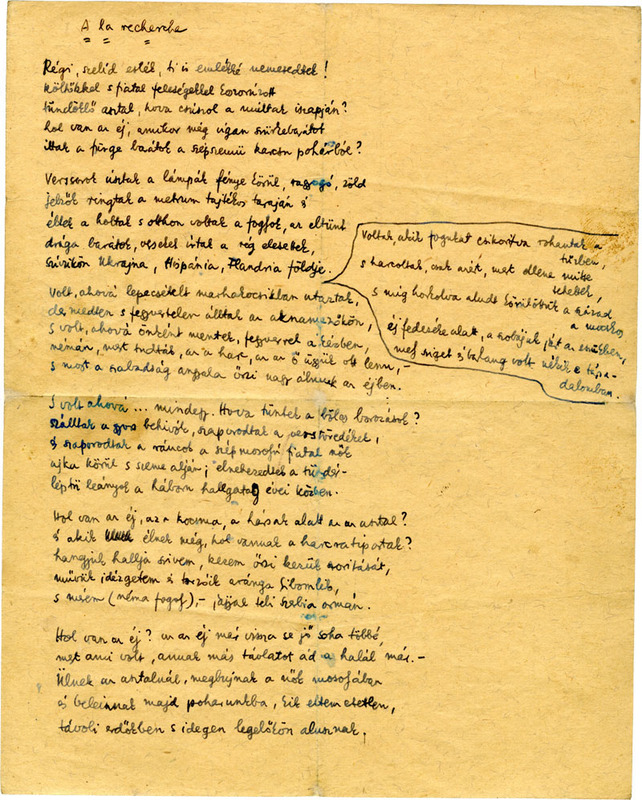 Radnóti wrote ten poems in the notebook between 22 July and 31 October 1944. Their dating probably refers to their putting down rather than to their composition, for he entered his Eighth Eclogue first with the date of 22 July, then crossed it and wrote it again, almost unchanged, on 23 August. 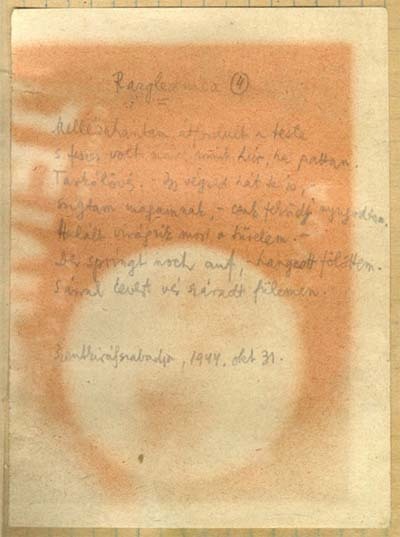 We do not know whether Radnóti wrote only these ten poems during his last labor service, or he composed more but entered only these ten into his notebook. The book begins with his Seventh Eclogue, although his last known eclogue before that was the Fifth, written in November 1943. Either he considered his Fragment, written on 19 May as the sixth one, or he composed a Sixth Eclogue in the lager, but did not include it in his notebook. The first five poems were born in the lager, while the other five at various places along the route of the labor bataillon from the Serbian mountains to Hungary. Radnóti, before setting out, made separate copies of the first five poems – Seventh and Eighth Eclogue, Letter to My Wife, A la recherche, Forced March – and handed them over to his fellow captives by asking them to take them home. 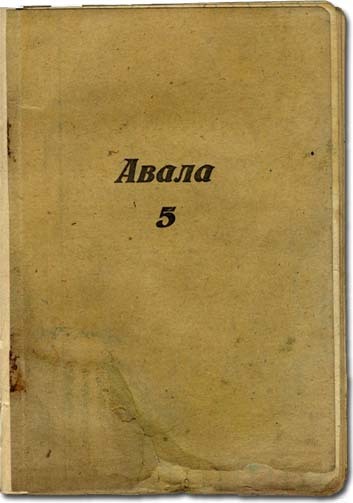 The other five poems, mostly written along the way – Root, First, Second, Third and Fourth Razglednica – have survived only in the notebook. The Fourth Razglednica foretelling the death of the poet. It was written on 31 October, four days before Radnóti’s death, on a separate paper, the reverse of a cod-liver oil can’s label. 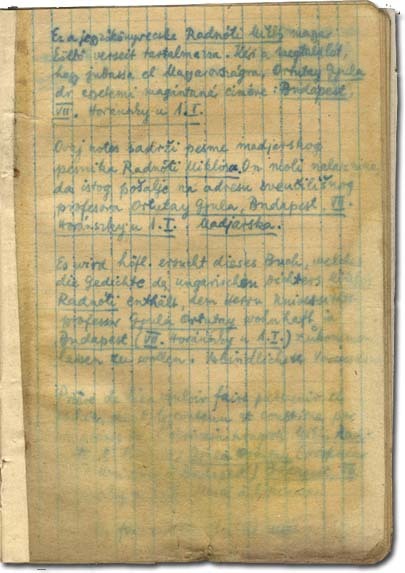 On 4 November, when Radnóti and twenty-one of his fellow captives were killed near to Abda by the soldiers accompanying them, the notebook was buried with him. It laid under earth more than one and half year. When the mass grave was opened in late June 1946, the text of those five poems that had been also handed over in separate copies to Radnóti’s companions were already rather blurred. 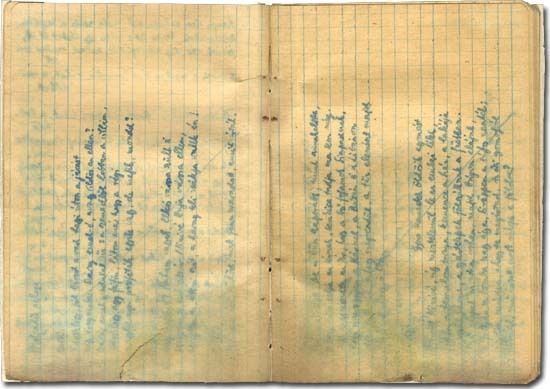 However, the other five poems that have survived only in the Bor Notebook are perfectly legible. Radnóti, as if he foresaw his own fate, wrote a request in five languages to the future finder of the notebook to forward it to the address of his friend in Budapest. As we proceed from top to bottom, the text is less and less readable. The English version has been reconstructed now for the first time. 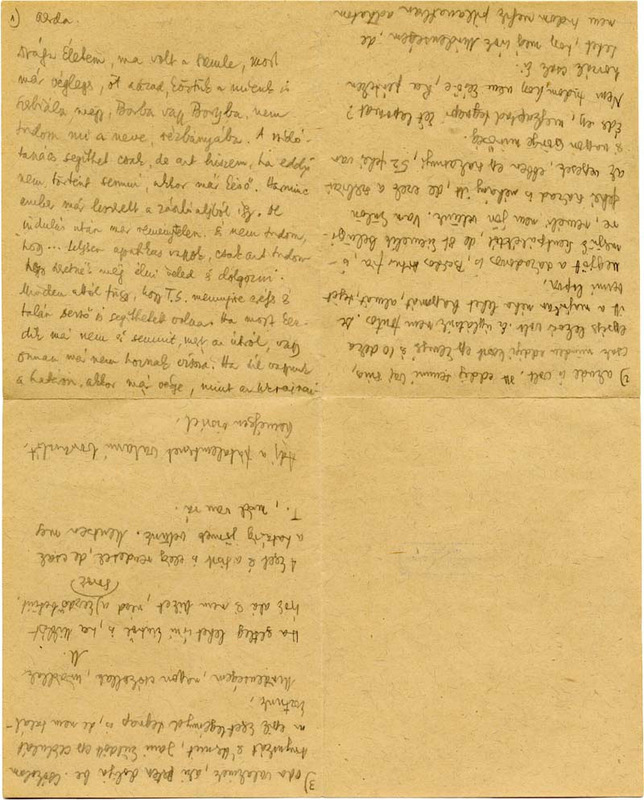 On our site of the Radnóti bequest preserved in the Library of the Hungarian Academy of Sciences that was solemnly presented yesterday to the press, the Bor Notebook received a separate chapter. We have published its complete facsimile, the high resolution pictures of each page, the transcription of the poems from the modern Hungarian edition as well as from Emery George’s English translation, and wherever it was available also the images of the manuscript versions taken home by Radnóti’s fellow captives. 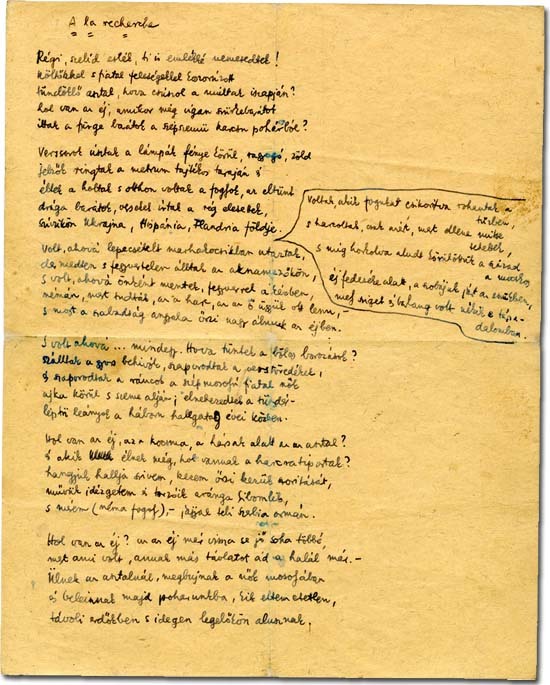 And the manuscript of the poem A la recherche – perhaps the most beautiful poem of Radnóti, his very last retrospection on his life – stands behind all the pages of the Bor Notebook as well as of the whole site. Evenings, gentle and old, you return as memory’s nobles! where are you sliding on marshes of irretrievable hours? auvergnat gris out of bright-eyed, thin-stemmed, delicate glasses? on their hearts the Ukraine, the soil of Spain, or of Flanders. rooms that in this society had served them as island and cavern. Angel of Freedom, you’ll guard their enormous dreams in the night now. Places too… never mind. Where did sage wine nights disappear to? steps: how heavy they grew in the course of the taciturn war years! Where is the night and that tavern, that table set out under lindens? those still alive, whom war’s heel flat-ground for nothing but combat? This heart hears their voices; my hand holds the warmth of their handshakes. measure them (prisoner, mute) – up in sigh-filled Serbia’s mountains. for, to whatever is past, death itself lends another perspective. sleeping in forests of foreign, on meadows of faraway places.